This blouse made of cotton take on an elegant look. 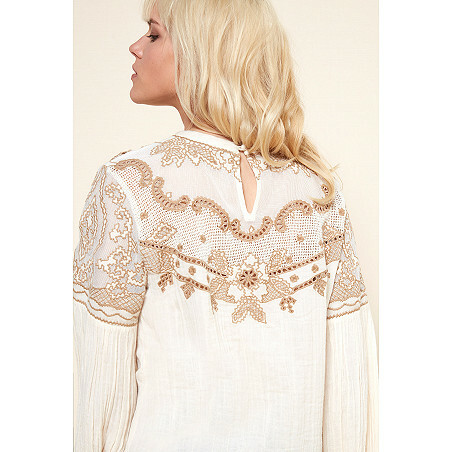 It is decorated with openwork embroidery at the top of the garment. Its loose-fitting sleeves add volume. It is fastened by a button placed in the middle of the back side.